Cron allows linux or unix users to run scripts at a given time and date. We can schedule any script be executed periodically. Linux/Unix provide the crontab inbuilt utility to schedule any script. Let's go through an example and see how crontab would be setup with the help of an example. Considering we have a java file, and this is wrapped up in a jar file. We are gonna to schedule that jar using crontab. To edit a crontab entries, use crontab -e as shown below. By default this will edit the current logged-in users crontab. To view your crontab entries type crontab -l from your linux account as shown below. Let's create a crontab. We are gonna to schedule test.sh file that will run daily midnight. Hit the crontab -e to install the crontab and add the entry 1 0 * * * /root/test.sh and save the file. Now test.sh file will run daily midnight at 00:01AM.. 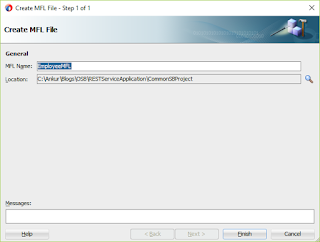 Sometimes it is required to create service interface(WSDL) from the schema(XSD) file. 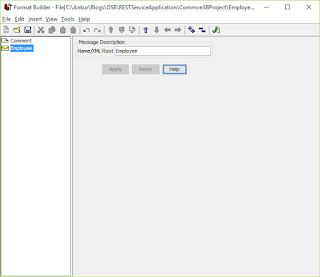 This post shows you how to create interface- WSDL from the given XSD using Jdeveloper 12c. 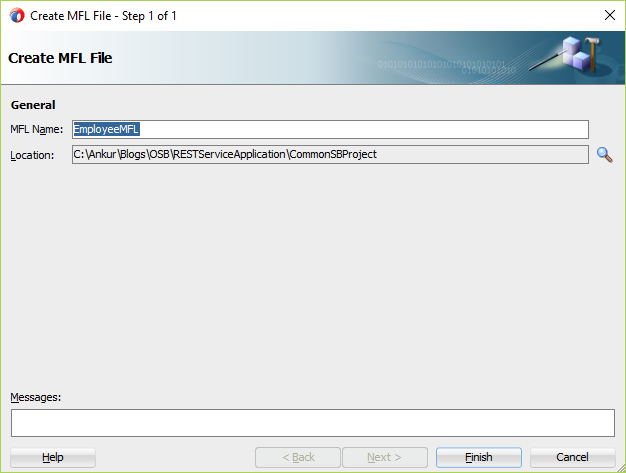 1) Suppose you have a Application and a project in the JDeveloper. 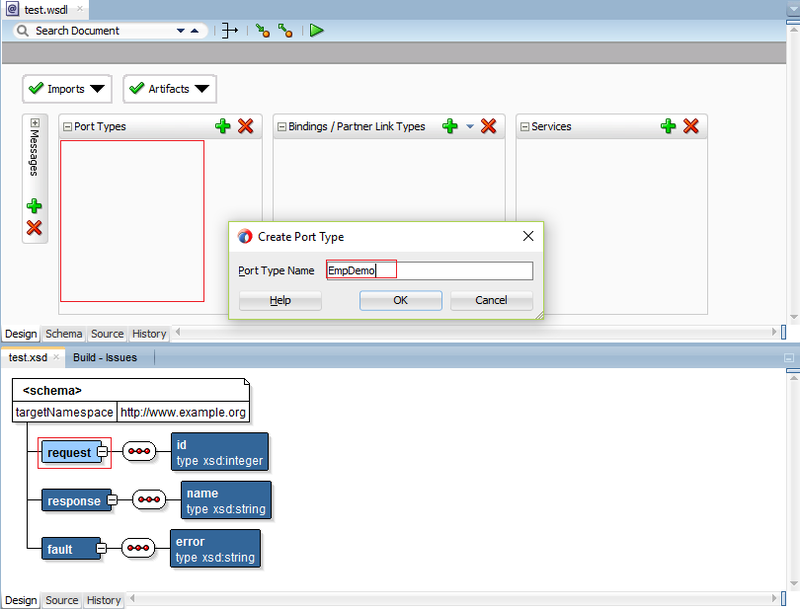 10) Right click on the output node, Insert After Output -> fault. 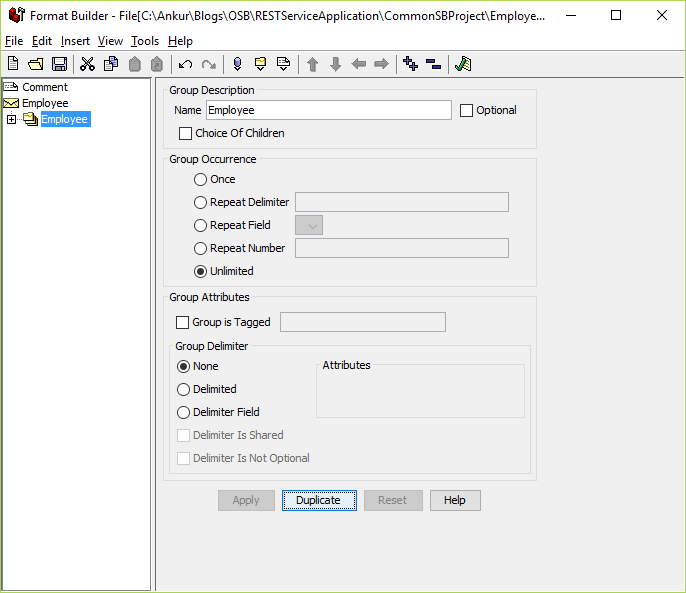 14) Now drag and drop the EmpDempSOAP1Binding node to the Services Wndow. After this step WSDL document look like this. You can use this WSDL to create the services. 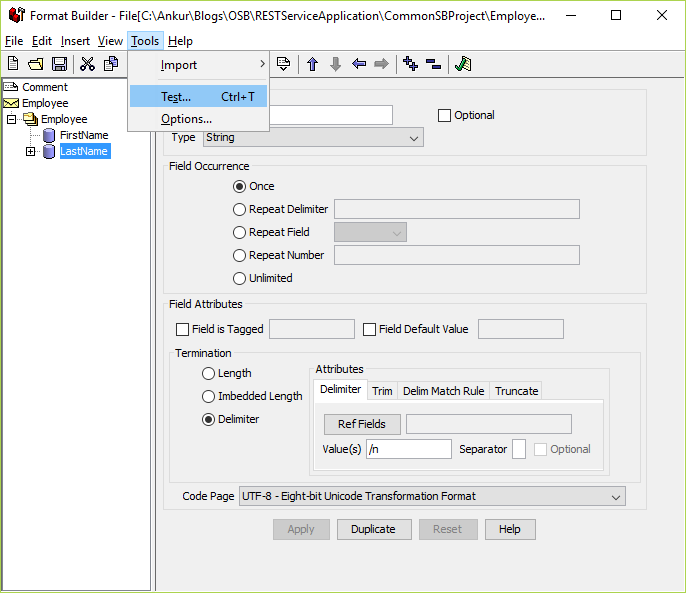 OSB allows us to cache Business Service Response for a given request. OSB uses the Coherence to support caching. Caching increases the application performance if we configure it in the correct way. When cache is enabled and any request come to the Business Service then it will first check the cache and returns the result from cache to the consumer else it will call the target service and get the output, return to the consumer and save the output in the cache itself. This Result Caching mechanism the OSB uses is Oracle Coherence which is included in the Oracle Weblogic server. Let's see the example how we can enable caching for the Business Service. Considering we have a Service bus project having one REST service that invokes the database using Business Service. If you don't have a project you can follow the blog. I'm gonna to extend this blog only. 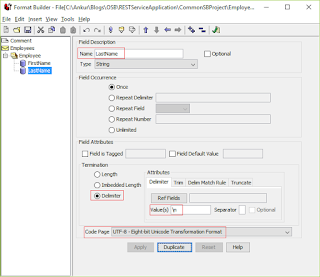 2) Check the Enable Result Caching checkbox and select the expression as $body/dbr:DBReferenceSelect_deptIdInputParameters/dbr:deptId corresponding to the Cache Token Expression. That will be the unique token in the cache for each department id we pass in the request. 3) Now, select the Duration radio button from the Expiration Time section and configure 2 minutes. That's means cache will be refreshed every two minutes. 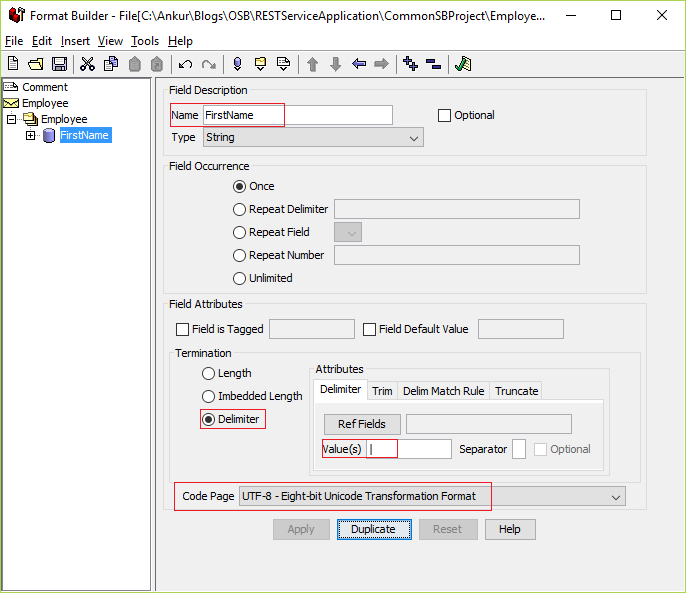 The first request would be served from the database and respective request would be served from cache till the cache expires(in 2 minutes). After that Business Service will hit the database again and refreshes the cache with the updated result. Let's run the example and see how it works. See the response has been served from cache it self. Now you can see the updated result. That time data has been fetched from database. 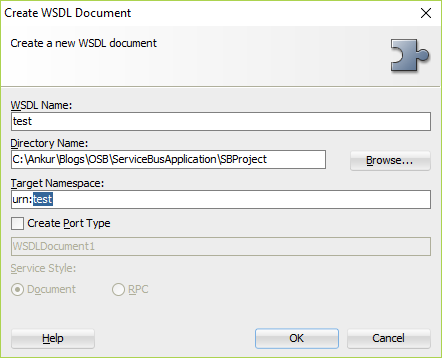 Sometime it is required to disable OSB services(Proxy or Business). 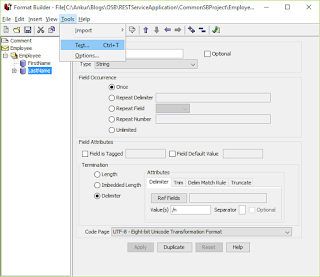 This can be done using enterprise manager(em) console. Just follow the simple steps to disable the services. Same way you can enable the service. 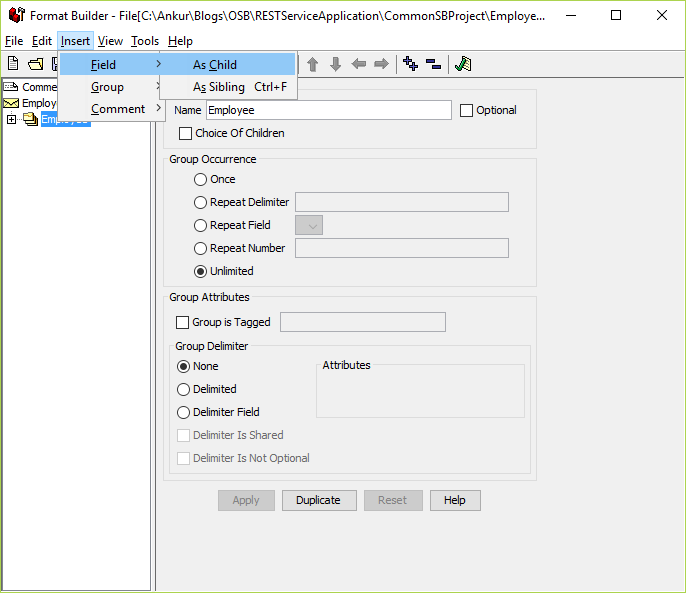 Just check the state column checkbox corresponding to the disabled service and click Apply button. 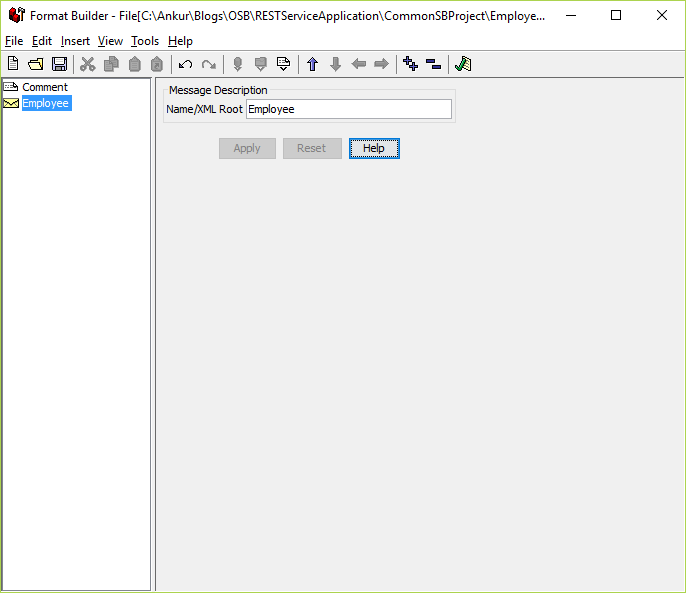 In OSB, we can use Message Format Language(MFL) to transform binary data to XML and vice versa. 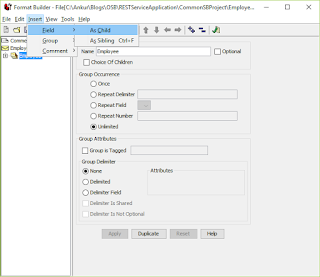 We use format builder to create mfl files and can't create mfl files from sbconsole. We would be required Jdevloper to create MFLs. Let's start with an example, and see how it works. 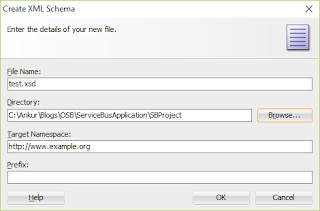 Assuming we do have a Service Bus application with Service Bus project. MFL is done. Now it's time to test the MFL. 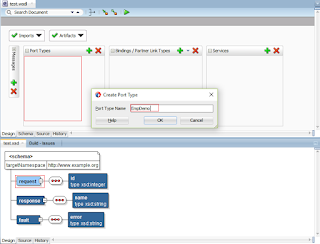 Jdevloper provides the inbuilt tool to test the MFL. Sometimes Oracle Service Bus is not sufficient to meet our requirements. 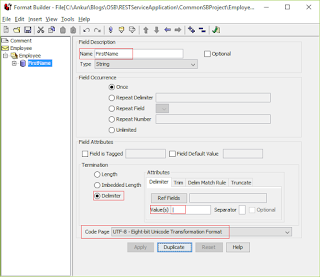 To do so OSB provides Java Callout activity that is used to call java code from OSB. 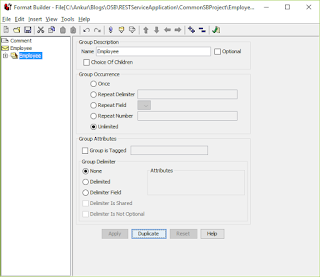 In this blog, I will explain a very basic example to use Java Callout Activity. 2) Create jar that will contain the .class file. Sometimes we may struggle with the Hostname verification failed: HostnameVerifier=weblogic.security.utils.SSLWLSHostnameVerifier exception when we deal with the host that is not verified by our network. 5) Go to the Configuration -> SSL -> Advanced and select None from the Hostname Verification drop down.